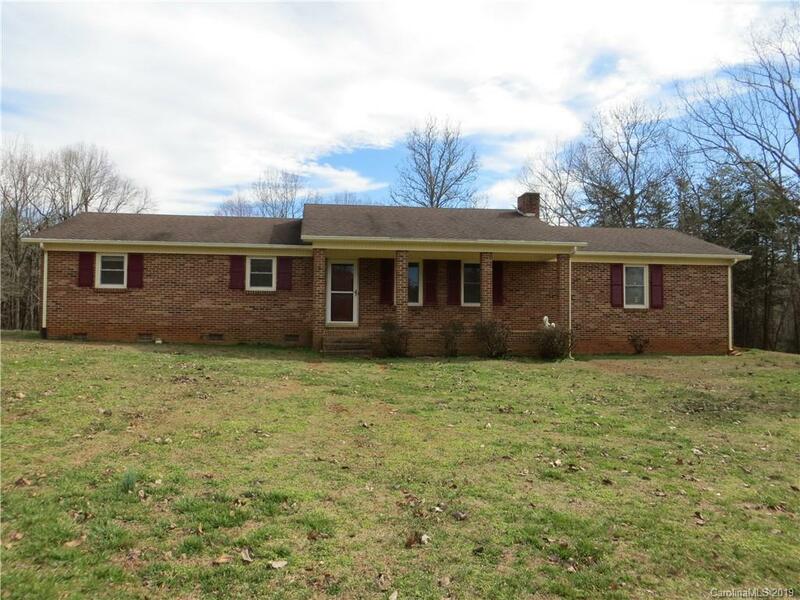 Great brick 3 bed/2 bath ranch home on just over 2 acres of land. Lot is cleared in the front around the house and wooded on the back of the lot. Property has a 547 sq ft detached garage with electric and a 1417 sq ft. lean to off of the side of the detached garage for lots of covered area. House has hardwoods, neutral paint, wood stove in living room, laundry room, open floor plan, large deck on back with an attached gazebo. It is country living just outside of town. You don't want to miss out on this incredible home.